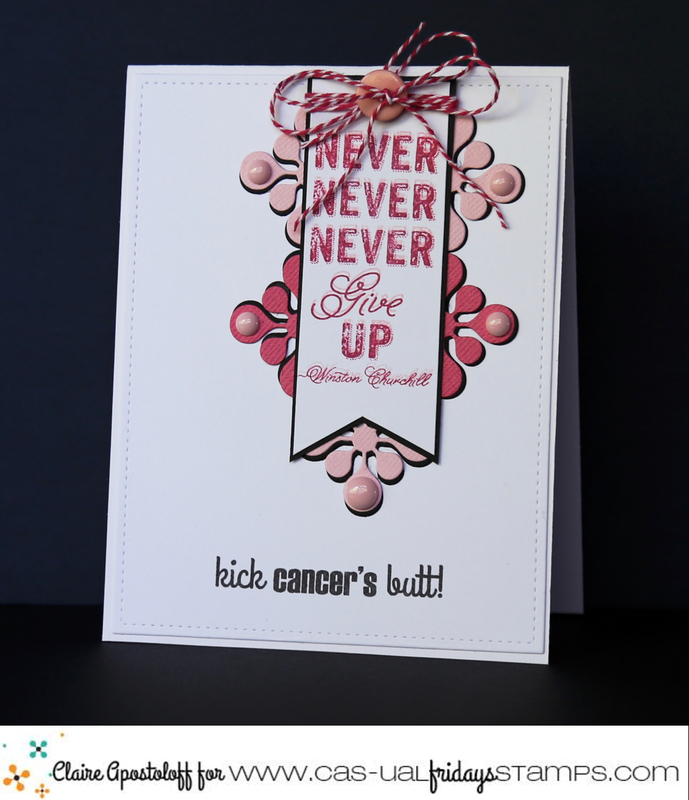 I used a few different CAS-ual Fridays products for my card of encouragement. The quote is by Winston Churchill from the Dream Then Do stamp set. The pink die cuts underneath the banner were cut using the motif from the Funky Square Tag Fri-dies and the sentiment stamped in black is from Calling All Sistahs. Did you know that 50% of the profits from stamps and dies sold from the Calling All Sistahs range are donated to breast cancer research and awareness programmes? As of September 2016 Michele has donated over $1800.00 to breast cancer charities through their sale. Link up your creations to be in with a chance of winning a $25.00 gift certificate to the store. If you use CAS-ual Fridays Stamps and Dies as the main focus of your card the prize will be doubled!